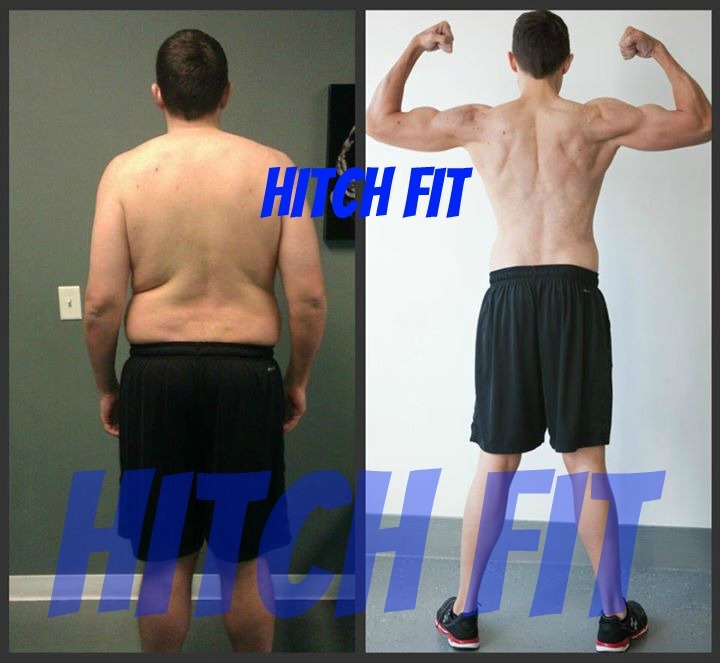 Kansas City man sheds 55 Pounds and 20% body fat at Hitch Fit Personal Training Gym! 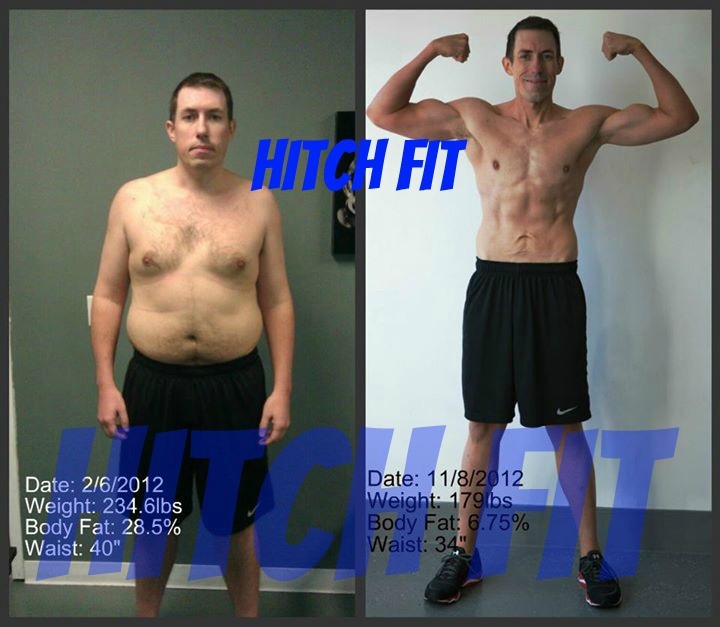 Home/Success Stories/Kansas City man sheds 55 Pounds and 20% body fat at Hitch Fit Personal Training Gym! Todd shed 55 pounds and 20% Body Fat at Hitch Fit Gym! “I was not the athlete in high school or college and my job requires me to be sitting in front of a computer all day, so my activity level is generally pretty low. I had been working out on my own for quite a while and seeing mixed results or seeing less progress than I expected. I’d be down 10 lbs and then a couple months later, it was all back. I’d run a few days a week, do weight lifting here and there, and not really pay enough attention to my nutrition since I was getting in my exercise. I was tired of playing the weight loss game, unhappy with where my body was, and I was ready to get serious about my results so I decided that getting some assistance was what I needed to keep myself in check and really get back into shape. This would end up being one of the best decisions I ever made. Like many others, I found Hitch Fit through researching the web, just looking for a local trainer that would help me get in shape. I was impressed by the before and after shots at Hitch Fit and noticed that some of the people were people I’ve seen at work and knew first hand that they were in good shape. I figured since the transformation pictures were real, and I want to get in great shape like that, then that’s where I needed to go. My goal coming in was just to lose weight, feel better, look better. I was tired of not living up to my potential and just being OK with my current level of health. Not long after starting my sessions at Hitch Fit, the weight started coming off and I realized that I could do this. My clothes quickly started to not fit anymore, the body fat was just melting away. While I had to cut out some of the foods and habits that I used to do, over time it became easier and easier. Before long it wasn’t difficult to stay on track, it just became a daily habit to eat right and workout regularly, which will make it easy to maintain these results long after I’m done. Contact Hitch Fit gym today at 816-753-8900 or write to [email protected] for details on rates and how our programs work!